Welcome to the first authorized Mercedes-Benz Vans Service Center in the U.S., specifically designed to service Sprinters, Airstream Touring Coach, and Metris vans. The 32,000 square foot facility includes 17 service bays to maximize efficiency and get your vehicle back on the road in a hurry! To ensure proper maintenance of your Mercedes-Benz Vans, we recommend servicing your van once a year or every 20,000 miles. 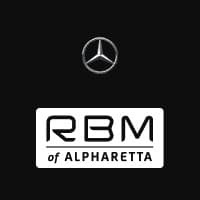 At RBM of Alpharetta, our Sprinter Certified technicians will preserve the performance and integrity of your vehicle using only genuine Mercedes-Benz parts and accessories. Service center hours are 7:30AM – 6:00PM Monday – Friday, and 8:00AM – 4:00PM on Saturday. RBM of Alpharetta is closed on Sunday. Drivers throughout the state of Georgia can expect exceptional service in a timely manner from highly trained certified technicians. From oil changes to transmission replacements, we are dedicated to maintaining top tier performance for both new and pre-owned vehicles.